When you decide to optimize a website for search engines yourself, SEO may seem somewhere between rocket science and voodoo. In any case, there is so much information online, that you’ll find it a bit overwhelming. Search engine optimization does require the know-how, but it’s something you can learn with a little effort. But first and foremost, you need to understand what your plan of action should be. 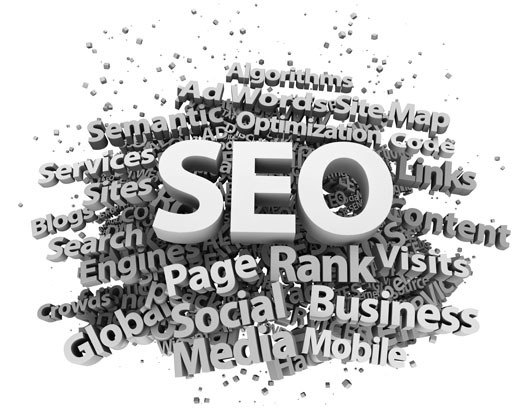 Here is a basic step-by-step guide that will help you plan your SEO efforts. Step 1. Identify Your Keyword Theme. You don’t optimize your website for one keyword: instead, you build a thematic group of keywords and key phrases you want to rank for. Think of the phrases that are most widely used to describe your business, service, or product and read up on your industry to understand how people talk about your theme. Step 2. Choose Keywords Wisely. Using Google, you can research your theme and see what phrases people use to find products and services like yours. What you thought people use can be very different from what they actually type in the search field. Select the appropriate keywords based on their popularity and competitiveness (how many websites compete to rank for this keyword). Many SEOs recommend to avoid super popular and super competitive keywords at first, because it’s too difficult to get good rankings for them. On the other hand, there is no point ranking for phrases that are used by twenty people per month, so go for the golden mean. Step 3. Create High-Quality Optimized Content. Search engines are smart enough to identify poor quality or plagiarized content. Don’t get overzealous with keywords here, too: keyword-stuffed content will have the opposite effect, to say nothing about driving the reader away. Unique, valuable content with your keywords, organically and moderately used in the headings and the body of a page, is you best SEO helper. Step 4. Don’t Neglect the Design. The web design may seem irrelevant to SEO, but it does influence your rankings in the long run. Firstly, well-structured websites, preferably with sitemaps, are easier for the search engine spiders to crawl and will be rewarded by Google and company. Secondly, good website design increases the time your users spend on the website, gets you more page views, and builds trust. All these factors will indirectly influence your position in the search results. Step 5. Do the On-Page Optimization. Wisely optimized content is your first step to on-site optimization. You should also create keyword-rich meta titles and meta descriptions for your pages, optimize image alt text and URLs, as well as page headings. Don’t do that chaotically, of course: your global keyword theme should be subdivided into smaller themes that match each page. Then you optimize every page of your website for its group of keywords. Backlinks is one of the key factors that help your website rank well, and building links is a process that should never stop. Your most valuable links will come from credible resources that are relevant to your website’s keyword theme and have a good reputation. Ideally, the link to your website should be contained in the anchor text with your keyword. For example, if your business is an online cards store, it’s great if the link will be in a phrase “buy cards online”. The ways to build links are numerous: press releases, guest posts, article directories, forums, and so on. SEO is not a simple thing, nor is it an overnight process, but if you have a clear understanding of where to begin, you’re on the right way! Now, do you optimize your website yourself? What can you recommend for novice SEOs? Feel free to reply in the comments.